Viknesh Vijayenthiran April 14, 2017 Comment Now! 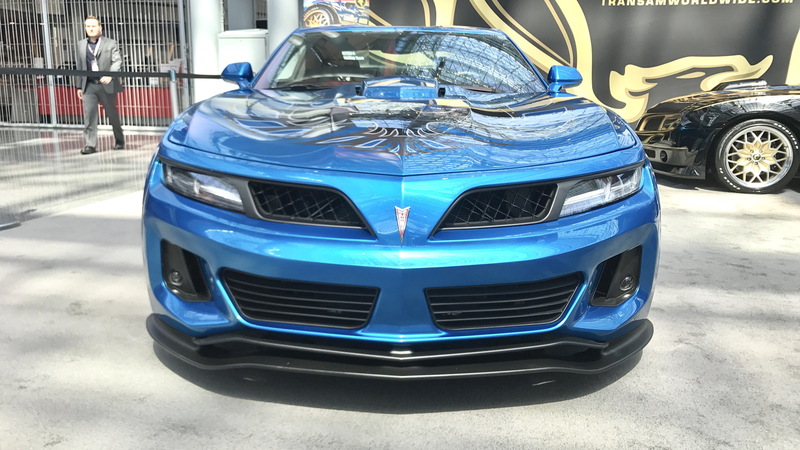 Pontiac lives on, or least its Trans Am does, with the latest model unveiled this week at the 2017 New York auto show. 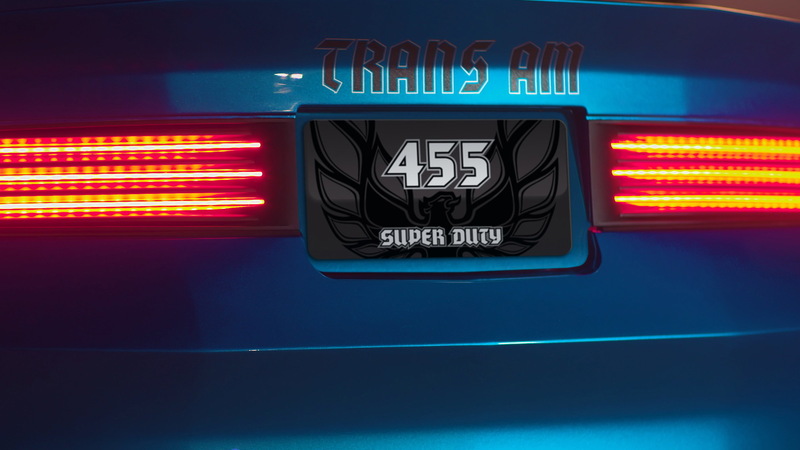 It’s called the Trans Am 455 Super Duty, and it’s packing a supercharged V-8 delivering 1,000 horsepower and 1,046 pound-feet of torque. Yes, that’s 160 hp and 276 lb-ft more than the Dodge Challenger SRT Demon running on race fuel. But the car isn’t from General Motors. The car you see here comes from the expert builders at Trans Am Depot and features a deliciously retro body developed in-house with a little help from our favorite Swedish design firm Zolland Design. 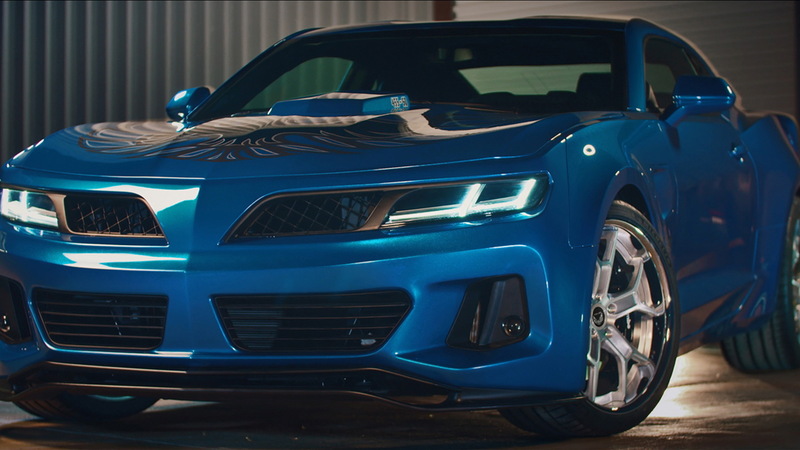 It’s Trans Am Depot’s first Trans Am conversion for the sixth-generation Chevrolet Camaro, meaning it should perform significantly better than the company’s previous Zeta-based cars thanks to the sixth-gen Camaro’s lightweight Alpha platform. 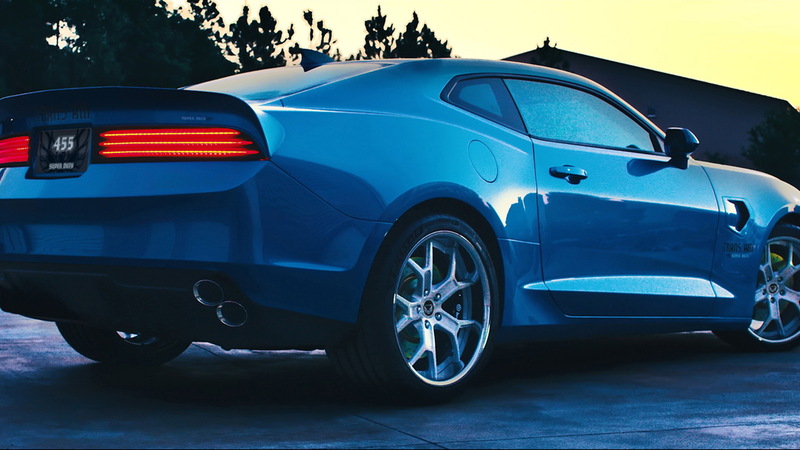 The engine is based on the 6.2-liter LT1 V-8 found in the Camaro SS but has been worked over by a NASCAR engine builder based in Charlotte, North Carolina, believed to be Arrington Performance. It’s been enlarged to 7.4 liters, or approximately 455 cubic inches, hence the “455” in the car’s name, and has received a Magnuson TVS2300 supercharger that delivers 14 psi of boost. The engine also benefits from a cold air intake, ceramic-coated headers and a 3.0-inch exhaust. The car on display in New York is a standard coupe but you’ll be able to order a T-top with glass panels. And contrary to popular belief, the conversion is more than just a body kit installation. Almost all of the body panels are new, including carbon fiber units used for the bumpers, fenders, shaker hood, and rear decklid. All the accessories are also new, including the head and taillamps, and the car also receives a fresh coat of paint—along with a screaming chicken on the hood. The car also wears staggered wheels from Crawler Race Wheels that measure 20x10 inches up front and 20x11 at the rear. They’re wrapped in 285/35R20 and 305/35R20 Michelin Pilot Sport 4S tires, respectively. Other upgrades include 1.0-inch lowering springs, an anti-roll bar package, and a Brembo brake package with massive 15-inch discs at all corners. Just 50 examples are pegged for production. 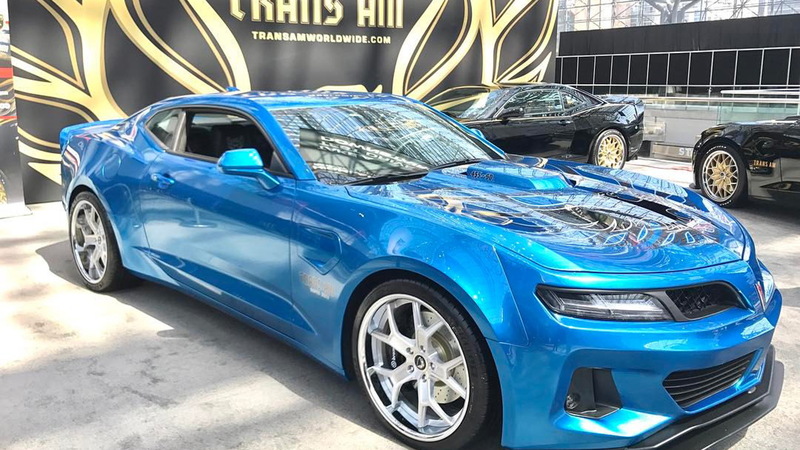 Trans Am Depot also has a tamer Trans Am conversion for the sixth-gen Camaro with a 6.2-liter supercharged V-8 delivering 602 hp and 625 lb-ft.